Several years ago, while Brian was traveling for work, he had bacon wrapped chicken at a restaurant and has always remembered how good it was. 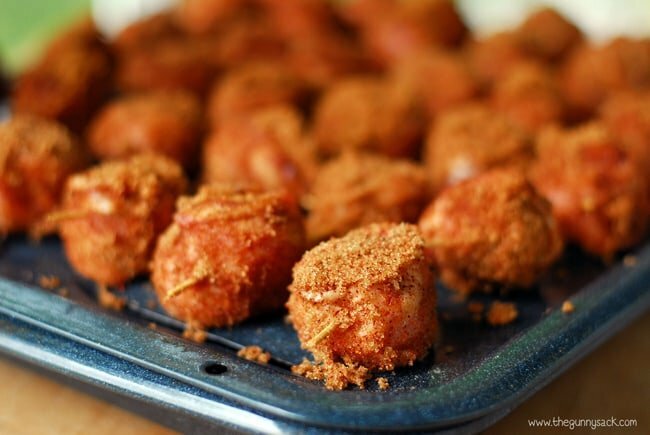 So, last year I made Sweet and Spicy Sriracha Bacon Chicken Bites which we really enjoyed. 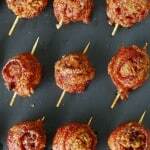 But I wanted to try another bacon wrapped appetizer and this time I decided to go with meatballs. 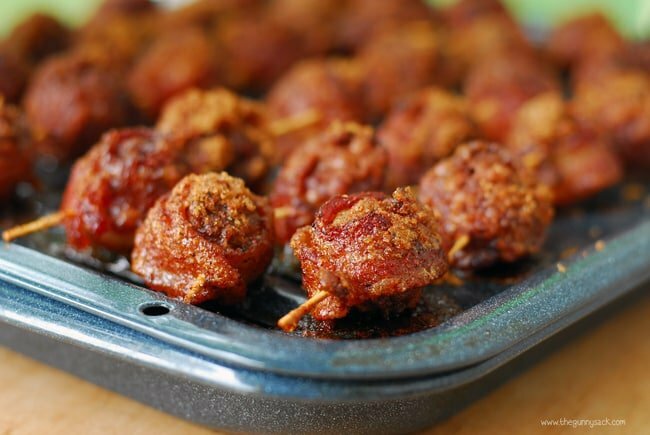 Before baking the bacon wrapped meatballs, coat them with a mixture of brown sugar and chili powder. As they bake, the bacon gets crispy, the sugar caramelizes and this easy appetizer becomes irresistible! 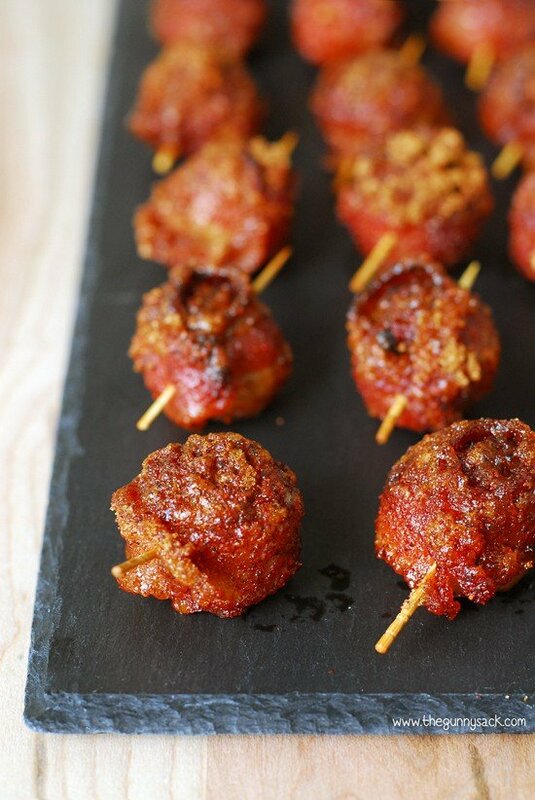 To make these sweet and spicy bacon wrapped meatballs, mix together brown sugar and chili powder in a small bowl. Spray a broiler pan with nonstick cooking spray. Cut a pound of bacon strips in half and wrap them around meatballs (I used store bought, fully cooked Italian style meatballs that I thawed in the microwave before wrapping them with bacon. ), securing the bacon in place with a toothpick. Dredge the bacon wrapped meatballs in the sugar and chili mixture, pressing to coat it well. Place them on the greased broiler pan. Bake at 350 degrees for 30-45 minutes, depending on how you like your bacon. 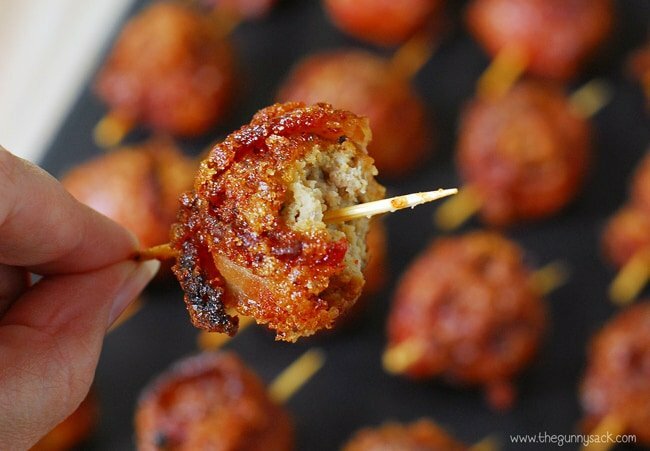 I like mine crispy so I baked the bacon wrapped meatballs for 45 minutes! Not only did the bacon get crispy, the sugar got crunchy too, for some amazing texture and flavor. 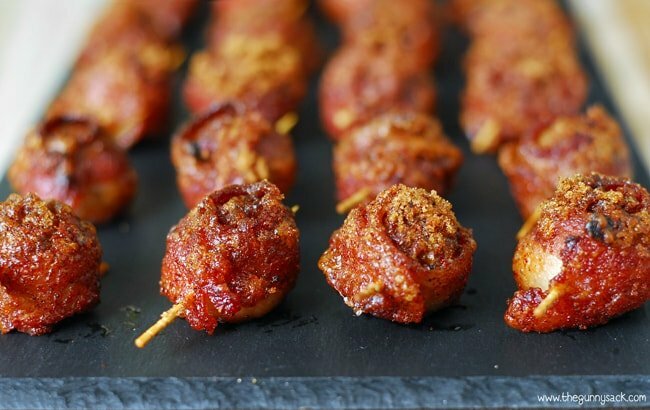 Leave the toothpicks in the bacon wrapped meatballs, so that they are an easy-to-eat, finger food at your party. Line them up on a tray and watch them disappear! 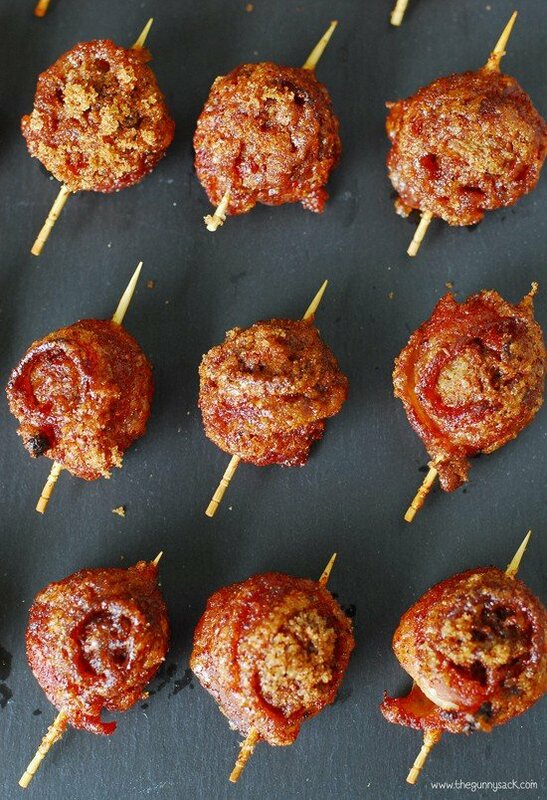 Vanessa was waiting to go to a friend’s house, but stuck around until these sweet and spicy bacon wrapped meatballs came out of the oven so that she could taste one. She thought they were fabulous and wanted to bring some with to her friend’s house to share, but since I hadn’t photographed them yet, I had to tell her no. Zack was a little more skeptical, but when I explained that they were made with bacon, meatballs and brown sugar, all things that he likes, he decided he would try one…and he loved them! 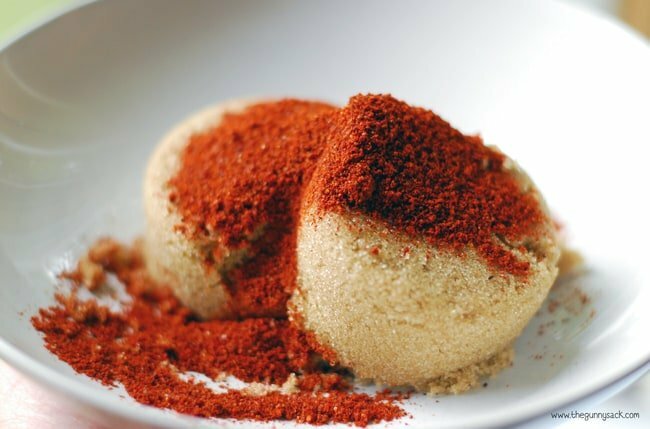 Mix together brown sugar and chili powder in a small bowl. Cut a pound of bacon strips in half and wrap them around meatballs (I used store bought, fully cooked Italian style meatballs that I thawed in the microwave before wrapping them with bacon. ), securing the bacon in place with a toothpick. Dredge the bacon wrapped meatballs in the sugar and chili mixture, pressing to coat it well. Place them on the greased broiler pan and bake at 350 degrees for 30-45 minutes, depending on how you like your bacon. I like mine crispy, so I baked them for 45 minutes. My family and friends loved this recipe. It never crossed my mind to make as an appetizer..I made them for dinner…with crispy red potatoe bites…and eggs of easy…was big hit with my family!!! 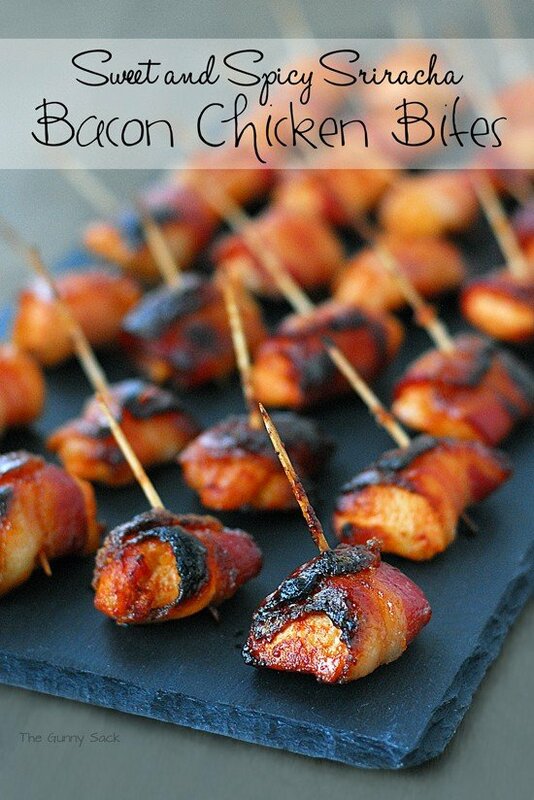 Made these for Super Bowl Party and they were AWESOME! Getting ready to stock up for the upcoming poker card night. Great, easy recipe! You made me look good! (Always a good thing!) 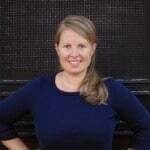 Thank you so much, I love your website and recipes! did you use pre made meatballs? if so which brand? Hi Sarah! I used Casa di Bertacchi meatballs. They are available at Sam’s Club. Hello there! 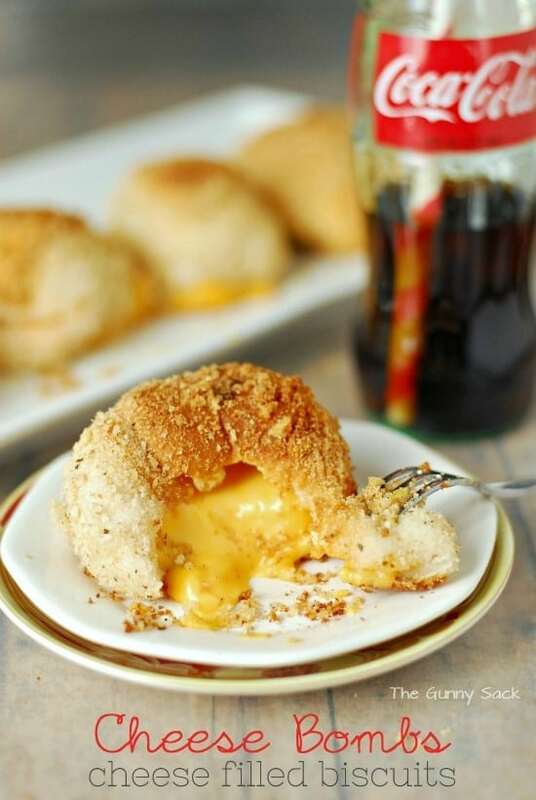 I’m planning to make these for a Christmas party this Friday, but due to time constraints I will have to prepare them the night before.. Do you think they will come out okay if cooked, stored overnight in the fridge and then reheated in the oven the following day for the party? The bacon won’t be as crispy but other than that it should work just fine making them ahead of time. Just wondering if the meatballs are fully cooked if they get dried out baking 45 minutes with the bacon? Mine did not, but if you are concerned about it, only thaw the meatballs enough to get a toothpick inserts. Then, use partially cooked bacon and reduce the cook time. Best of luck! How long do you thaw them in the microwave? Just long enough to soften them to get the toothpicks through. Ohhh…that sounds amazing! I’ve got to try that one! Thanks Julia! LOOKS Delish! Please let me know if it is NOT o.k. to use your post in a Bacon Roundup. It looks delish! What a creative recipe! Would never have come up with this myself! I love sweet & spicy!! 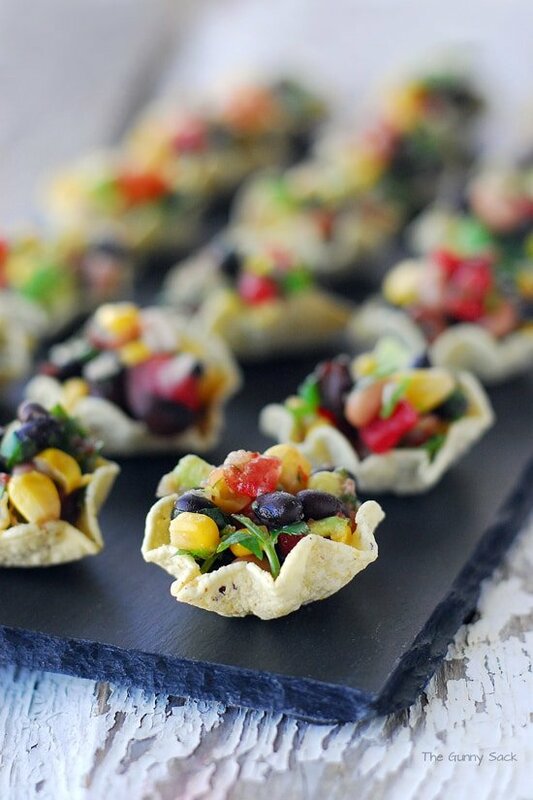 These look perfect for a party. They will be great for the holidays! Thanks Cathy! Really? That’s awesome! Thanks Heather! Thanks Kathi! Your family is going to love them! These look out-of-this-world amazing Tonia! I would score some serious points with my hubby if I whipped these up 🙂 Pinned and will be making…SOON! Thanks, Trish! He will love them! Oh my! 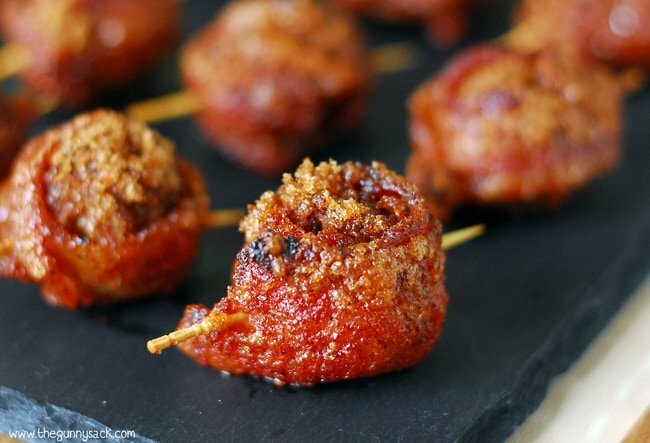 Bacon wrapped meatballs?! Save me a few, please! Can I make ahead and take to a party? I haven’t tried that Lisa but you should be able to.